Forums at Modded Mustangs > TECH Exchange > Articles - Electronics > Tuning: What is it and why is it so important? Tuning: What is it and why is it so important? 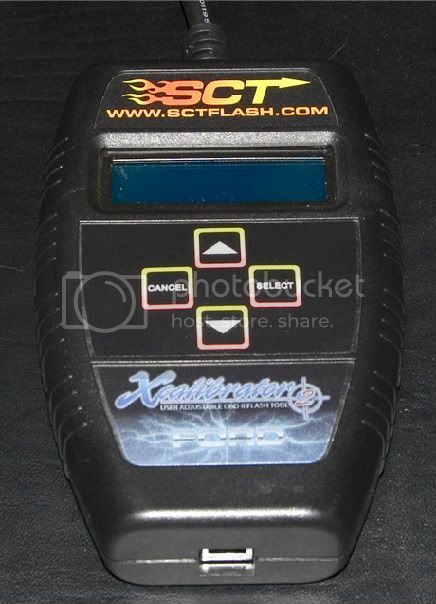 Pictured Above: SCT’s XCalibrator 2 hand held flash device. Tuning. 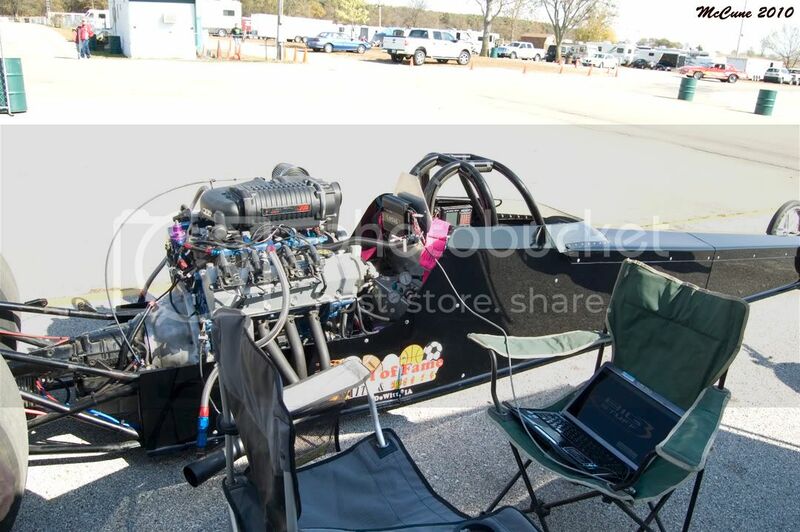 Anyone who has had a late model, electronic fuel injected Mustang has heard about it. Many of you may even have an aftermarket “tune” (also known as calibration) uploaded to your vehicle already. 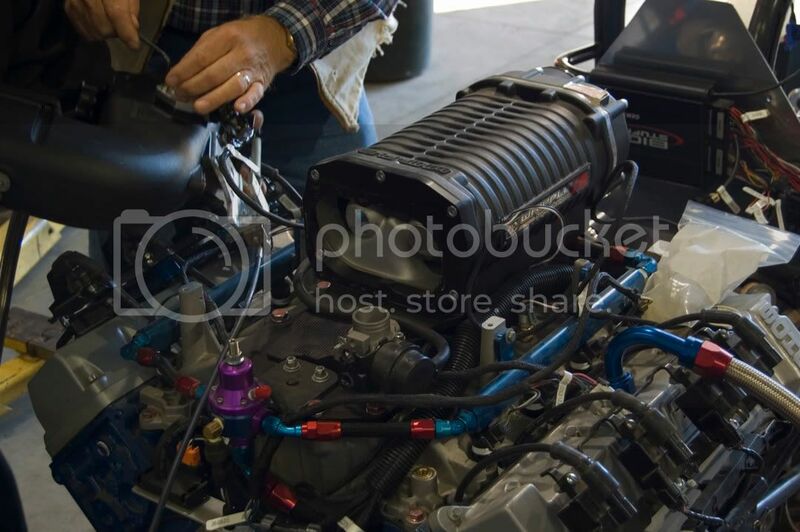 In this article I will go through some of the ins and outs of electronic fuel injection calibration and help explain why it is so important for modified vehicles to be calibrated. You may hear me refer to tuning as calibrating or calibration as I feel it is a more accurate term for the process. Also the term “OEM” which stands for Original Equipment Manufacturer. OEM parts are commonly referred to as “stock” parts. In the aftermarket world, tuning is not a new idea. In the early days the pioneers of our favorite industry found out the hard way that after drastic modifications to an internal combustion engine are made, some adjustment is needed to help said engine continue to run at its peak potential. This is where it all started. 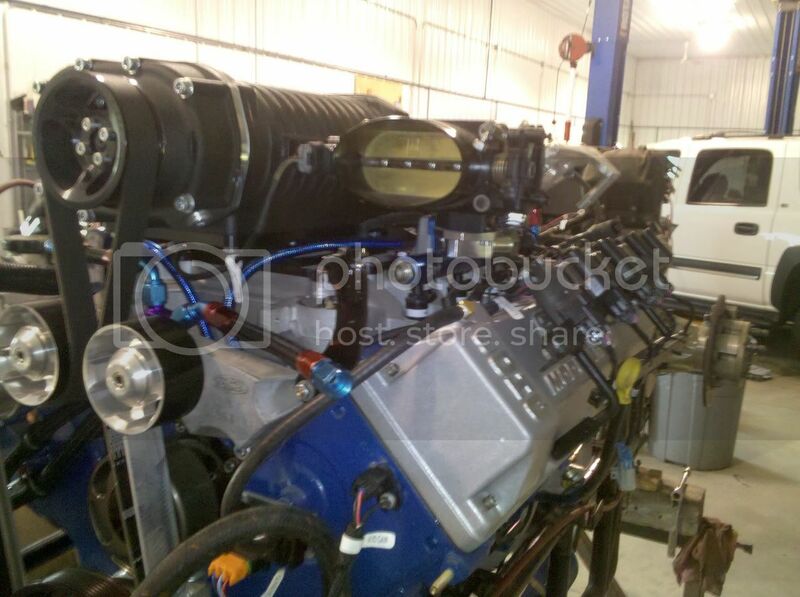 Adding larger jets to a carburetor to compensate for increased airflow because of customized exhaust manifolds or re-engineered intakes, whatever the case may be, compensation is needed. This is where the tune comes in. Taking advantage of that modification to its fullest requires compensation. Fast forward to the advent of electronic fuel injection, this is where the modern term “tuning” was first coined as we know it. The need to compensate for aftermarket modification has not changed, only the methods of which the tuning takes place have changed. 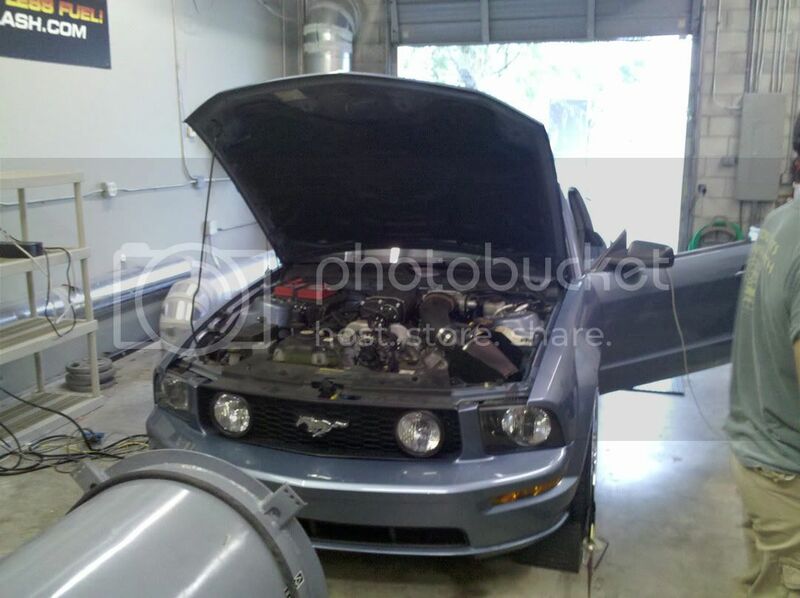 Pictured Above is an example of a Whipple Supercharged 2006 Mustang GT hooked up on the Dynojet Chassis dynamometer at the SCT Facility in Orlando Florida. So, you’ve got yourself a Mustang! Now it is time to make it yours. Sure, it may have a throaty, powerful, American V8, but how powerful is powerful enough? That subject is still up for debate. Most of us get “bored” after a time and want more power. Among the first things we often do is add an aftermarket “Cold Air Intake” and a tune via a hand held tuning device from a reputable speed shop. You decide you are just going to bolt that shiny new part on and see how it goes. 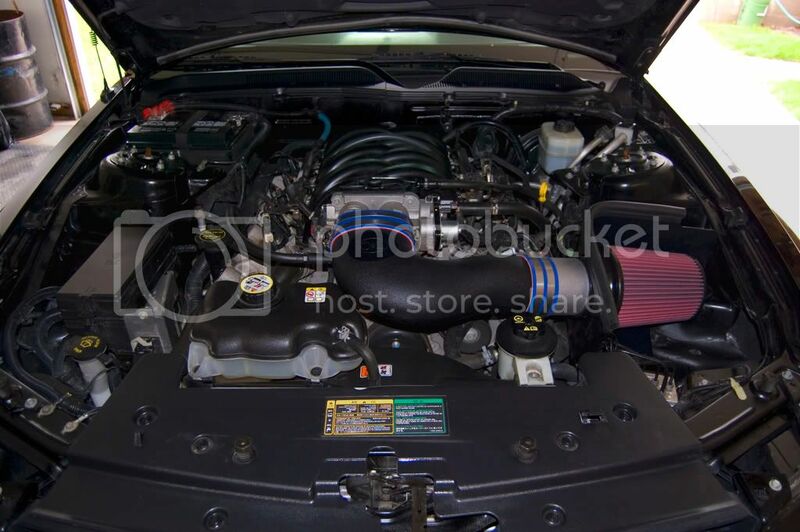 C&L Racer Cold Air Intake installed on a 2006 Ford Mustang GT. Why do you need a tune? More flow equals more power right? Vroom, vroom! It starts, but now it’s searching for idle, feels gutless, and in some cases, won’t even move. Bulbs you have never even seen on your dash light up and then panic sets in. You may think, “What did I just do?” It is ok! Go back to your UPS box or the bag you picked up from the local speed shop. Follow the instructions to upload your aftermarket tune and presto! Your car idles fine, sounds as good as ever and feels like it may have picked up some power! Now we are getting somewhere! But why? What just happened? Why did I have to follow a semi-complicated process of uploading information through my OBDII ,aka Diagnostic port, port just because I added a bigger tube to the front of my intake manifold? This is where the real story starts. 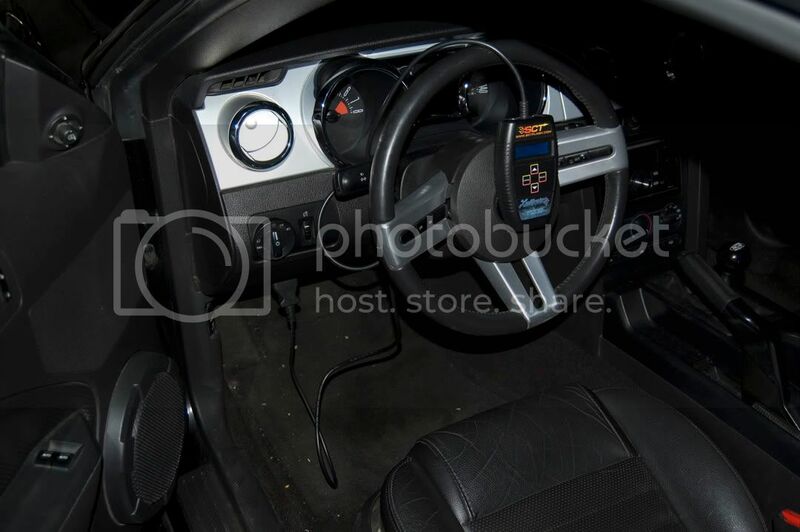 Pictured Above: SCT's Xcalibrator 2 flash device hooked up to the diagnostic (OBD II) port of a 2006 Mustang GT. 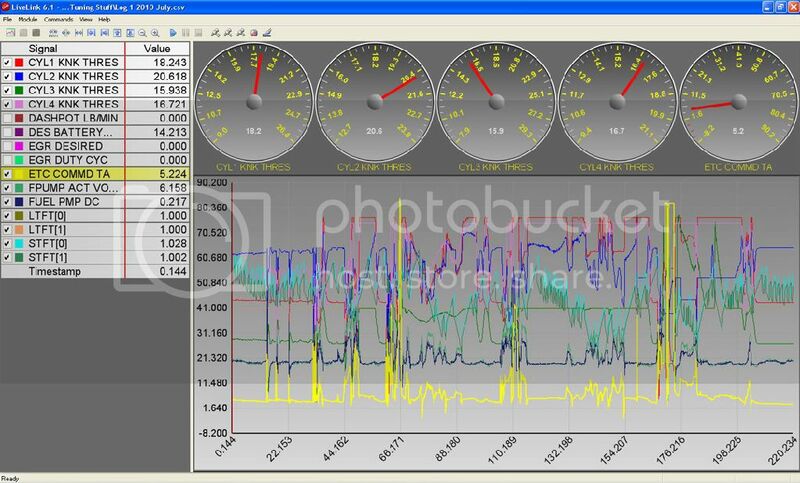 Pictured Above: A screen shot of SCT's LiveLink 6.0 datalogging software. In this example the Calibrator has ECT or Electronic Throttle Control highlighted. Here is where it gets technical. The “why" and “if” questions are many here, so bear with me. There are several ways to tune your car. The methods vary as much as the opinions. However, the most common are as follows in no specific order; “Piggy-Back” controllers such as “Tweecer” (The TwEECer -- EEC-IV user programmable module) or Moate’s “Quarterhorse” (Welcome to www.moates.net! : Moates.Net), hand held re-programmers such as SCT’s “X-Calibrator 3” (SCT Performance - More Power! Less Fuel!) or Diablosport’s “ Predator” (DiabloSport :: Gas and Diesel Tuning Systems) and “Stand Alone” systems such as Big Stuff 3 (BigStuff3.com) or Motec (MoTeC). All of these systems and devices, at their very core, function the same way. The goal is to alter your factory calibration to compensate for major changes to hardware and/or airflow. Let us go back to the Cold Air Intake example. For this I will concentrate on Mass Air Flow systems, but the overall theory stays true no matter the system. You added your CAI because you want more power, right? So why does it add more power? Because you have increased the amount of airflow to the factory intake manifold, among other not so important factors. In doing so, you have also changed the size and amount of the tubing while also eliminating a very complicated set of tubes and pipes that were engineered that way for a reason. What those reasons are, I will not get into. So why does this affect the calibration on my car? Because one of the most important sensors is also located in those tubes, the MAF sensor. This is one of the most important sensors in the system and it does the calculations for the mass of air flowing into your intake manifold, past the intake valves in the heads, and into the combustion chamber. By changing the size of this tubing you have changed the amount of air flowing in and around this sensor. To correct this, your factory calibration must be modified to make sure the sensor is still reading the amount of incoming air accurately. This process is called re-scaling the MAF sensor, which is just one of many processes required to lay down a good calibration on a modern EFI system. After that example you can expand from there. The more complicated the setup, the more complicated the calibration is going to be. With the latest generation of Ford’s Mustang, and some other vehicles/manufacturers, the capabilities of the OEM computer are so great that you can use a handheld device far into the development of your car. There are many very high powered vehicles still running the stock ECM/PCM/EEC, whatever you want to call it. But, once a system reaches a certain level of complication or horsepower, the stand-alone systems take up the slack. Allowing you to create custom wiring harnesses to fit hardware not originally intended for your vehicle as well as more control over the system. One of the most important things, if not the most important, a stand alone system can do for you is log larger amounts of data than your hand held device or piggy back system allows. In these examples; you can see GM LS Coils on a Ford Modular motor controlled by Big Stuff 3. This is one of the more complicated builds that a stand alone is well suited for. Because of the tight squeeze between the blower, fuel rails and heads using standard Ford style Coil-On-Plug units was nearly impossible. That is only the tip of the iceberg as some stand alone systems allow you to capture much more. Such as lap times, telemetry data and many other very important data sets. Which allow you to paint an even more accurate picture of what your car wants. This is probably the most important part of calibration. In the end, all you are trying to do is give your car exactly what it wants. No more, no less. What does my car want? It wants fuel, air and spark. These are the three main things a calibrator is adjusting for. With more free flowing intakes and exhaust setups, comes more air. With more air, your engine needs more fuel. With more fuel and air, your engine needs more time to complete its combustion cycle and so on. 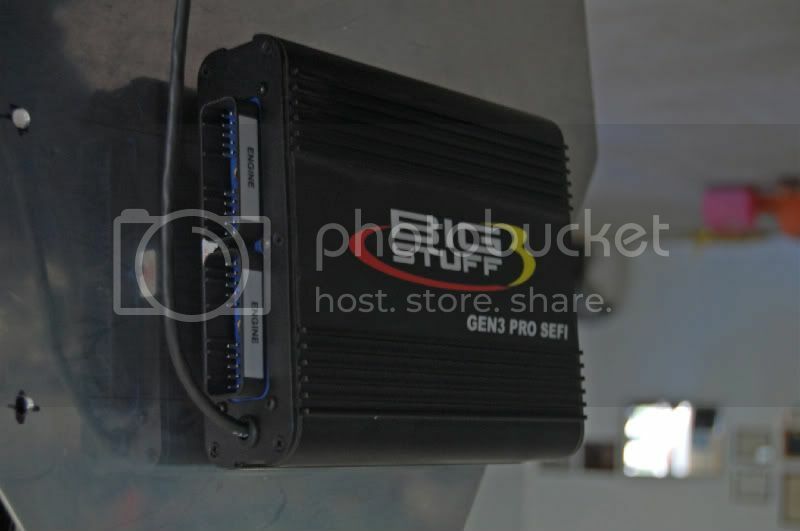 Big Stuff 3 Pro SEFI Stand Alone Engine Management System. Now why is this all important to me? In one word: drivability. The OEM calibrator gets approximately 3 years to complete his calibrations on his new OEM project. In that time he or she will test the cars in all the extremes and in normal situations the car could see. In the aftermarket, we have to take that knowledge and use it to our advantage to re-calibrate the OEM calibration because we don’t have 3 years. Often more like 3 hours or 3 days at the most. Most aftermarket calibrators have no problem working in this time frame because they can use their years of experience and known good data to reproduce amazing calibrations for all but the most complicated setups. This is all important to you because you can now take your car to a reputable shop and drop any amount of money and produce outrageous amounts of power and then at the same time drive your car from that shop home like it drove from the dealerships lot. 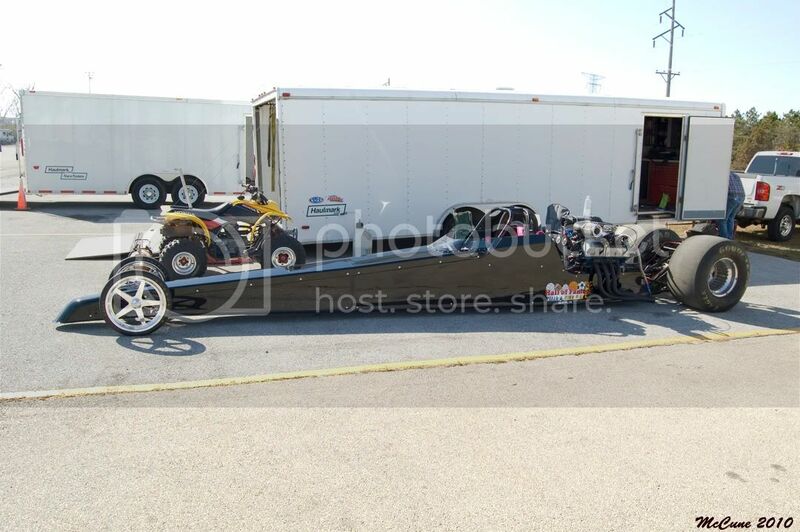 Pictured above: Race ready, electronically injected, Ford Powered, E85 Drinking Modular Dragster.